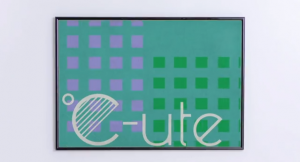 C-ute is a group I’ve followed occasionally, and I’ve even bought some Maimi goods, but I don’t know if I would consider myself a big fan of theirs. Nothing wrong with C-ute, mind you, but I really don’t pay attention to them as much as other groups. However, their career has had a really interesting trajectory. Starting off as the ‘leftover group’ from the H!P Kids, C-ute has grown to surpass the original H!P Kids group Berryz Koubou, and has lately gotten even more recognition. They’ve gone from a group that did Ooki na Ai de Motenashite to a group that does more adult things like Crazy Kanzen na Otona. So how does their new single hold up? Song: This song had to grow on me. I definitely liked it at first, but it’s not immediately catchy. The best word I can use to describe this song is pleasant. There isn’t anything immediately interesting about the song or anything mind-blowing about it, but I do like the song. The chorus is a lot more interesting than the verses (especially the repeated “Why Not” sections), but the verses grew on me too. My biggest complaint is the arrangement. It’s a nice sounding instrumental track, but the electronic backing doesn’t fit as well. If they had used real instruments (I’m thinking this would be brass heavy, but would have some piano and strings in there), the song would sound a lot nicer. This isn’t an electronic song like some of Morning Musume’s latest fare; those songs make sense to have mostly electronic stuff going on. This is not the same type of song, and the instrumental is just disappointing. I like the melody and song enough that that would make this transcend from being just good to really great. The lyrics are nice; Tsunku isn’t a master lyricist or anything but they aren’t bad. The only thing that made me pause was the line about being chubby. 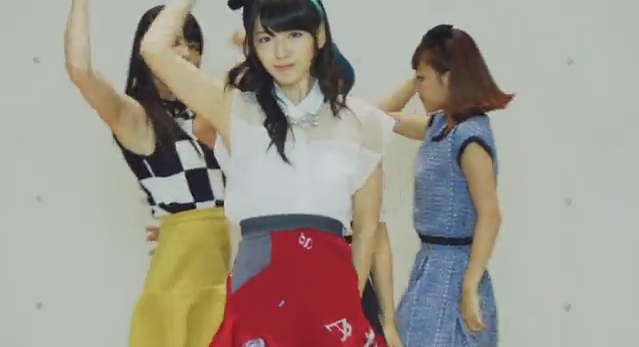 Um, no one in C-ute is even remotely chubby. Nice and pleasant are the ultimate words I will use in reference to this song. I like it a lot better than some of the recent stuff C-ute has done, but it’s not going to be on my top song list of the year or anything. PV: PVs are not H!P’s forte. It’s gotten to the point where, if H!P has a PV that’s even remotely good or interesting, I’ll be excited and happy for them. I have to think this is where this PV stands. If you are comparing it to all idol groups, it’s not the most interesting of PVs. However, compared to H!P, this is wonderful. The biggest thing I admire about this PV is its unified aesthetic choice. It’s doing this style which feels unique and fresh, but also appealing. This goes a long way for turning a PV from boring and average to being interesting. The best part are the member introductions at the beginning. They’re designed well, all the girls look nice, and it has a really dynamic feel to it. I think a good part of that is because the girls move into the still shots of them, instead of just featuring the still shots. There’s a lot of motion in this PV, which I always like. One of the things that’s hard to show in the screencaps is that there is a fairly long, single take shot on what looks to be a handheld camera (or at least not a steadycam shot). It’s very fluid, moving between the girls in a way that I don’t always see from H!P PVs. It adds a lot to the PV and is something I appreciate. Another thing I like is the set. I’m not sure where it is or if H!P built it, but the white serves a nice contrast to the girls, and all the stairs, mirrors and windows make for a much more interesting set than we’re used to. The effects add a nice burst of color to the plain white surroundings, and make it look interesting. Yet the effects never look tacky or just plain awful. They add a lot to making the PV look great. The dance shot is the worst part of the PV, by far. 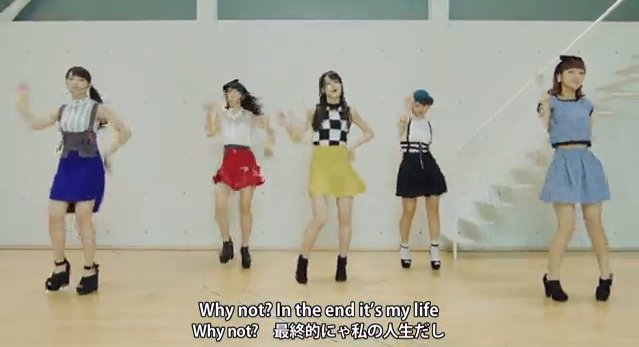 While C-ute does well with dancing, like always, I just don’t get some of the choices made. Could they have chosen a more boring place for their dance shot? Even if they rented this place out, surely they could have picked a better pace than a boring white wall. It just doesn’t fit with the reset of the great set. To this Airi. Notice anything? The answer is the lighting changed! Most of the PV has nice lighting. H!P PVs often have iffy lighting at best, so I was really excited to see how good the lighting looked until I saw the dance shot. Everything looks so drab, dark and flat in the dance shot that not even the visual effects can brighten it up. I would have probably not cared that much with this lighting had the rest of the PV not been lit well. Worse than being bad, it’s inconsistent. Overall, Tokai no Hitorigurashi is a solid song/PV from C-ute. It has its share of issues, but is more than passable and even steps things up from an average Hello!Project release. Song: This has the opposite issue to me than Tokai no Hitorigurashi; the chorus here isn’t what works. Up until the chorus I really enjoy this song a lot. It’s a cool song with a bit of a darker tone and utilizes some deeper vocals than I’m used to with C-ute. The instrumental sounds fitting and I don’t wish for a different arrangement like I do with Tokai no Hitorigurashi. However, everything I like about the song disappears with the chorus. It’s not a bad chorus, per say, but it has a very different feeling. The verses have a lot of oomph to them, for lack of a better term. The chorus sounds a lot happier and lighter, which feels wrong with the rest of the song. The arrangement also falls flat in the chorus in that it feels empty. There’s a lot going on in the rest of the song, but it feels like most of that drops out for the substandard chorus. I really like the heavy, dark feel of the song, and if the chorus could harness more of that I would be totally on board. However, the chorus alone keeps me from really feeling like this is an outstanding song. Which is a shame. I love it. Seriously, H!P, keep this lighting designer please. This isn’t inconsistent, but just good. It plays a lot with light and shadow, all the while making sure that all the girls look good. Occasionally the girls are slightly overlit (one of my H!P PV pet peeves) BUT this is almost always a temporary thing and done for effect. 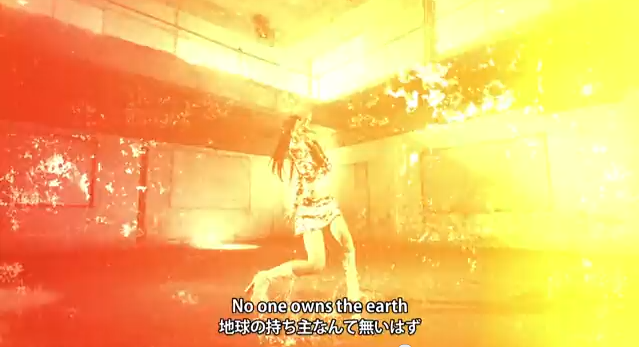 But seriously, H!P, this is how you light a PV. This PV always looks gorgeous and visually interesting, even though it’s mostly just close-ups and dance shots. Despite the simplicity, the basic elements are done well, which means that I’ll want to watch this over most H!P PVs. Location wise… Dirty, falling apart warehouse? It’s not my first choice for a great PV location, but it this type of situation facilitated the lighting then I’m all for it. Plus it really goes well with the feel of most of the song. This PV also has a really nice sense of movement to it. The camera is rarely stationary, moving well with the C-ute members and aiding in the transitions. This makes for another fluid PV that doesn’t feel choppy. The best part is again at the beginning and whenever the girls do solo dances. The camera work and the editing work well together. The worst part of the PV are the cheap filters that are put on things. It doesn’t happen often enough that it feels like a proper part to the PV, like the effects in Tokai no Hitorigurashi. It just looks cheap and unnecessary. The other negative is that it is a fairly simple PV. It’s comprised of the group dance shots, solo dance shots, solo closeups and some brief group closeups. I know that I said it’s done well enough that it makes it better, which is true. I love the lighting in this enough to make this one of my favorite C-ute PVs. However, just a bit more would make this PV really special. Overall: Much like Tokai no Hitorigurashi, a few shortcomings make Ai tte Motto Zanshin fall a bit short of its potential. A lot of good things are there in the song and PV, but the issues keep it from being as good it can be. This is a solid C-ute single and a solid H!P single. There are a lot of things I like, but enough frustrating things that make me wish that it had been done just a bit better. Hey guys who read Happy Disco; sorry for the LOOONG time where I didn’t write. 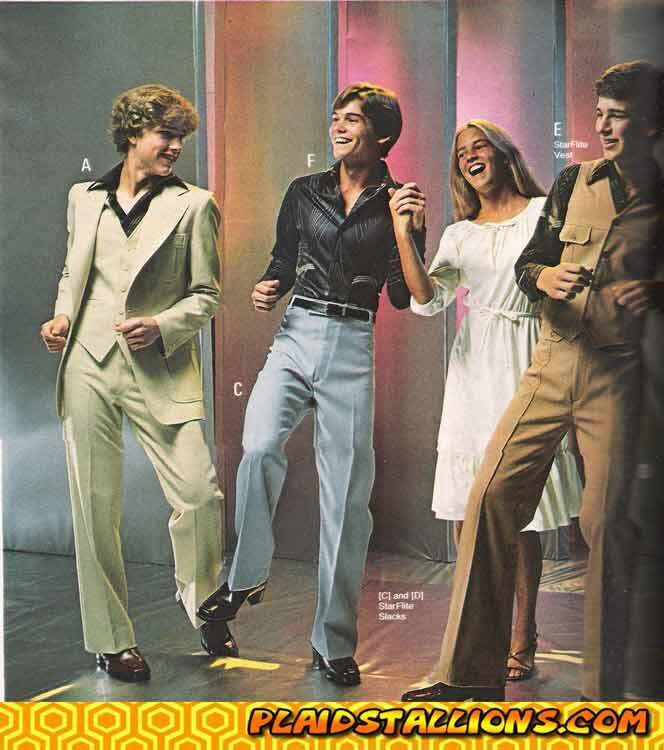 I currently have one blog post that’s taking me forever and a day to write (my contest winner post, which is a really great topic but just a bit time consuming), but I’ve neglected Happy Disco. I am sorry. I’m currently balancing being a full time Film/Media Studies student while working two part time jobs (30 hours of work total). By the end of my day I kind of just want to play tetris and not write a blog about what I write in class. But I still love idols/Happy Disco. Anyways, a while ago I wrote a blog entry for Intl Wota for the Summer Refreshment Program, writing about idols and summer. In case you haven’t seen it, HERE it is. One of the things I talked about was how AKB48 tends to go on a yearly schedule, with spring/graduation songs in the spring, happy summer songs in the summer, and other stuff year round. It’s a schedule that I think has worked for them, because they deliver something that’s expected while simultaneously giving new songs. It’s a good system. Fall’s here and soon it will be winter. While there’s definitely a feel for winter in terms of tone and style, I never really think of any specific fall style. This tends to be when AKB in particular releases stuff that doesn’t really fit in the season, such as Beginner, RIVER, and the soon to be released Kaze wa Fuiteiru. For a long time, when considering seasons and idols, I always thought that fall was like the free space on a Bingo sheet, that it didn’t matter what you released as long as you released something. Then I saw Amazuppai Haru ni Sakura Saku. For those who aren’t aware, this is the upcoming collaboration single that Berryz Koubou and C-ute are doing together. This is a great idea for many fans. But the concept of the song/PV are not great ideas. Hear me out. I’m not talking about the song/PV. I think the song’s pretty boring, myself, and while the PV could be better I think that it’s pretty good considering that these are H!P PVs we’re talking about. No, I’m just going to talk about the concept. The song/PV is focusing on a spring/graduation theme. In November. Now, admittedly, I don’t know the full translation to the song; my Japanese isn’t good enough to pick it up on just a couple of listens. For all I know there could be a line in there about how it’s about their boyfriend and how their blooming love is like the blooming sakura blossoms in Spring. Even if that was the case, the song is still about blooming cherry blossoms and the bittersweet spring. That’s what the title says, and even if the lyrics subvert it then the first listen or two will be thinking about spring. In fall. Even if the song absolutely had nothing to do with spring, then the PV is all about graduations. They get a diploma. It’s a graduation PV, which happens in the spring. I stand by that AKB could probably pull it off because it’s AKB. However, Berryz Koubou and C-ute aren’t AKB48, and their sales are in general dropping. The last thing they want to do is lose fans, and what they desperately want is to gain fans, but I don’t see how this song/PV could attract casual listeners to become Berryz or C-ute fans. Like I said, my big question is why. If they wanted to capitalize on the seasons, why couldn’t they wait a bit longer, or do a holiday-themed song/PV in vein of Aitai Lonely Christmas. I’m honestly baffled at the decision making skills here, and like I said, clearly Tsunku (and UFA) doesn’t read Happy Disco. I just really can’t see why this was considered to be a good idea on a sales standpoint. You might be going “ah, Serenyty, stop with the sales already, they don’t care about sales.” If that’s true, then why do a graduation song now? What artistic goal are they trying to achieve by this? I’m really wondering, what would make this happen? 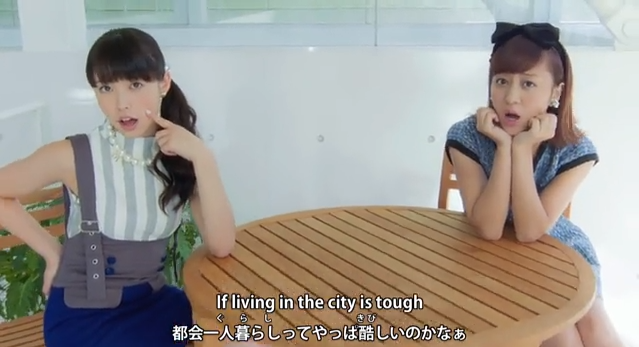 So therefore, I just have no idea why Berryz and C-ute are doing this, and I know others are confused too. Confusing and potentially alienating an audience is the thing they have to think about, and they might just be close to doing that. On a separate note I saw the Mobekimasu song/PV and it’s alright. The main things I got from it are that I absolutely love the dresses they’re wearing, and that Maimi is really really adorable. First of all, an apology and an explanation. I moved to this new blog on Intlwota and I’ve lately been neglecting it, at least more than I did on my blogspot blog. It didn’t go unmissed, but it wasn’t really something I felt up to this past weekend. The reason being, and I don’t want Happy Disco to get into a sob fest or to get too unhappy, is because this morning my Grandpa passed away. This wasn’t a surprise, because he’s been struggling with Lewy Body Dementia for a while now, and this was inevitable given his disease. To be honest, I didn’t think I would be blogging about this. I thought I’d take some time off, get happier and be able to move on. Initially, when thinking about this in the nursing home while sitting with my Grandpa, idols weren’t really on my mind. I actually thought about the character of Kate Beckett from the show Castle, who had to deal with the death of her Mother. I told myself to “be strong like Kate” and that did help me through. However, one song and PV in particular jumped into my head at various intervals. I didn’t try to think of it, and it was tough to think of (I initially started to cry again when I thought of it) but it really fit my situation. AKB48’s Sakura no Ki ni Narou. Now the lyrics seem to be a bit more ambiguous, but the PV’s definitely not. The PV features Jurina as the friend of the front girls who has died, but is still there with them. Some people might be all “Jurina’s a ghost!” (even though I haven’t seen that reaction) but I tend to think it’s more symbolic, to show how the people you love are always there with you, even if you’ve lost them. In the wide group shot, the presence of an empty chair is in my opinion one of the most poignant things I’ve seen in an idol PV. It really shows that when it comes to people you love, when they leave that absence really cannot be filled in your life. It’s a beautiful PV that came to mind, and while I can’t say it made me feel better, necessarily, it made me feel a bit of comfort in that how I feel now has been felt before. Last night, when I came back from the nursing home after sitting with my Grandpa, that’s when idols came to my aid and comfort. I was depressed, knowing that things weren’t going well with my Grandpa, but there was nothing I can do. The one thing that made me feel better was idol music, listening to things like Sekai Ichi Happy na Onna no Ko and Wagamama Collection and watching Oota Aika’s confession scene from AKB48 1/48 Idol to Koishitara. I’ve seen people get not necessarily upset but criticize idol music and idols in general for being escapist, for idol fans to use idols as a way of escaping their drab lives. I’ve seen this most as people criticizing idols for being “fake girlfriends” or something like that. I’ve even seen this said by AKB48 fans, wishing that AKB would go back to edgier songs like Keibetsu Shiteita Aijou and Seifuku ga Jama wo Suru. And yes, I’d say that idols can be escapism. But you know what, I say “So what?” If giving me a few moments reprieve from grief, then I accept the escapism with open arms. Idols are chiefly about happiness, at least that’s what I would say. That’s part of why I love idols and why I named this blog Happy Disco. Like Aoi Usa said in her post I covered for IW, idols can be friends when you need them. And when I needed some happiness yesterday, I was able to turn to idols. So thank you, AKB48, C-ute, Momoiro Clover, Morning Musume, and all the other idols I hold dear. I appreciate it. Here’s just something straight away before I get to this. I a fond spot for C-ute; Maimi and Nakky are two of my favorite H!P members period, and two of the reasons I still follow C-ute news whenever I can. I like the other members too, though. 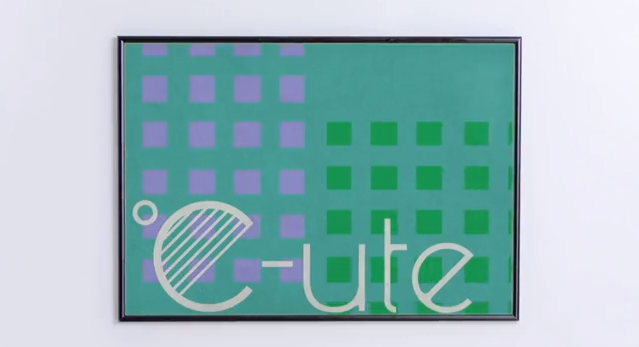 This doesn’t mean that I like everything that C-ute has ever released (can I just forget The Party now? *shudder*), it just means that I can tolerate something average more than I can tolerate with some other groups. So alright, the reason that I’m reviewing this, my first H!P song/PV review in a while, is that I’m absolutely completely charmed by the song and PV, and to be honest, part of me doesn’t know why. I think the components are well done, but the way I’m reacting is not the way that I’ve reacted to H!P in a while; the last song I reacted this way to was Reconquista. The song: I really think that the way that someone looks at this song will honestly depend on what they’re looking for in an idol song. To some, it may seem really generic, and I respect that. This is a pretty typical type of idol song that reminds me vaguely of S/Mileage’s Suki-chan in terms of tone and style. If you’re looking for something out there, completely unique, edgy or anything similar to that, Sekaiichi HAPPY na Onna no Ko is not the song for you. Some people will probably find this song boring. However, I LOVE cute idol music, and upbeat/happy songs are why I choose to listen to idol music (hence Happy Disco). Upbeat happy idol songs are the type of thing I listen to while walking to work or school that just make me feel happier, and this song fits the bill. The first time I listened to it, I didn’t really like the song except for the chorus; however, for me at least, it’s one of those songs that has really grown on me. I think those are the songs that tend to be earworms for me; songs that start out uneventful but that I really start to like. The song isn’t perfect to me, though; the rushed line Maimi sings before the chorus feels kind of out of place and almost like Maimi herself can’t get those words out. Also, is it just me, or does Chisato sound really weirdly high-pitched in the first verse? I might be biased because of the songs I tend to like and the fact that the word “Happy” is so prominently placed: this song is now the theme song of Happy Disco (if someone mixes this song with Perfume’s One Room Disco, I think I’ll have to start a Happy Disco podcast to use it). Still, it’s a fun, cute song that is exactly what I’m interested in. C-ute’s moving in a… well, cuter direction (judging by this and Momoiro Sparkling) and I can’t say I complain! I have to think of the PV as being a subversion of the other PVs H!P does. 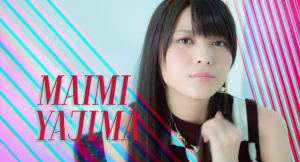 So many H!P PVs are really bland and colorless these days, set in the same set. However, the abundance of color in this PV seemingly coming from the idols in their idol rooms makes it seem like C-ute is adding color to this bland world. And cuteness! The PV is gloriously colorful and I appreciate it for that. I also think that the little domino stunt they did with the books to make the word “happy” was really obvious but also really adorable, so I can forgive it. The idea of the girls all having their own different rooms is for some reason appealing to me; maybe it’s because I love the PV for Perfume’s One Room Disco so much (which is admittedly a far superior PV to this), but they could have easily made the PV with one backdrop, some closeups with different backgrounds based off their image color. This feels like some effort was made, which I have to appreciate. The other part that’s great is that the girls are really at their top game here. The one really notable thing about H!P groups nowadays (especially Berryz and C-ute) is that they’ve been around together for years, so they work off each other well, especially in the dancing and the group shot here. The PV isn’t the best that’s ever existed ever, but it’s fun and colorful, which makes it one of the better PVs H!P has released recently. So overall, in my opinion, H!P managed to do a really great job here and I appreciate it! Day 29: In your opinion, who is/was the best leader of an Idol group? This is honestly fairly easy for me. Granted, I could be biased as hell. Ishikawa Rika was v-u-den’s leader, and I really think she did an excellent job; Erika and Yui were brand new when added to v-u-den, and yet the group really gelled like they’d been there for a while. No one felt weird or out of place, at least to me. I also love Yajima Maimi, and she impresses me as a leader, too. She really does take care of her group. One thing I saw was an interview with both Berryz and C-ute around the time of their concert together. The whole group was talking about their H!P Kids days, but Kanna wasn’t a part of that (since she was added later). Maimi made an effort to ask Kanna what she thought. This also brings up the question of what makes a good leader. Leadership is really not THAT significant, because the idol who’s the leader doesn’t make any of the business decisions, doesn’t write the songs, doesn’t make any of the big decisions. Often times, I don’t really think that leaders of idol groups do all that much at all. I just can’t help but admire the ways she really loves AKB and puts so much effort into making it a great idol group. I always have had the impression that even if Takamina wasn’t in the most popular idol group around, she’d still love the group dearly. She’s a member that the others can get behind, and I really appreciate that! Day 28: An Idol who reminds you of someone special or that was special. I love C-ute and I love Nakky, but whenever I see Nakky I have to think of my friend Dani. Nakky’s Dani’s favorite idol ever. Dani is the one lasting friend I’ve made from the idol fan community; we’ve been friends for about two years or so, I think. There are amazing people in the wota fan community, and I enjoy the time I spend on various forums and chats (hi people of Wotachat!) but Dani is the closest friend I’ve made from this fandom, and so I’m really grateful to the fandom for that. Day 04: If this Idol were a boy, who would be your boyfriend? Why this question; anyone who knows my idol tastes knows that I go for the girliest of girly idols. I like my idols covered in frills and pink, dammit. She’s not exactly SUPER manly, but she’s not the girliest of my favorite idols. She’s really nice, a great leader, and just a really fun person, I think. If she was a man, I’d totally go for Maimi.